Small town cook Odd Thomas (Anton Yelchin) isn’t exactly normal. He can see dead people and sense when something bad is about to happen. When he encounters a mysterious man (Shuler Hensley) with links to dark forces, Odd must do something before the whole town is under attack. Odd Thomas is a supernatural, horror film but it also fun and full of surprises. 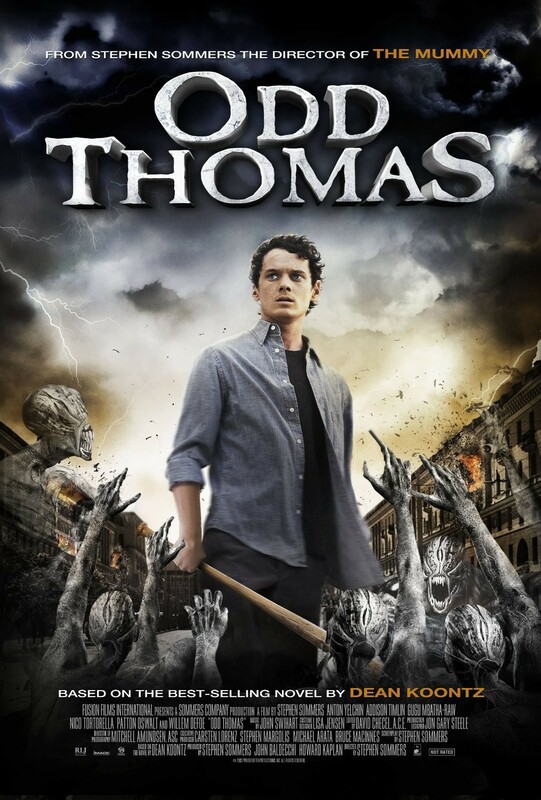 While it’s got a lot of death and evil creatures, Odd Thomas is more of a mystery really as Odd tries to figure out what’s going to happen to the town and when. All the strands of the mystery are there; some are more obvious than others but it doesn’t take anything away from the twists and turns. The CGI in Odd Thomas isn’t the greatest but it is used sparingly and as the focus is more on the characters than big action-set pieces, the dodgy CGI doesn’t pull you out of the film too much. One of the highlights of Odd Thomas is the characters. They are all likeable and believable and they actually communicate with each other. The fact that Chief Wyatt Porter (Willem Dafoe) knows about Odd’s supernatural gift means that Odd actually has help in catching bad guys and has someone to cover for him from the rest of the police department. Odd’s girlfriend Stormy (Addison Timlin) also knows about Odd and supports and helps him when she can as well as being the voice of reason when he’s being reckless. So often in films about a guy with special abilities who must save the world, he keeps everything a secret from the people he’s closest too, causing unnecessary problems and conflict – Odd Thomas manages to avoid this cliché. Odd Thomas is a fast-paced, mystery/horror film with likeable characters. It packs an emotional punch and is well-worth a watch. 4/5.